As predicted local housing inventory rises heading into season in 2018. This cycle repeats each year. 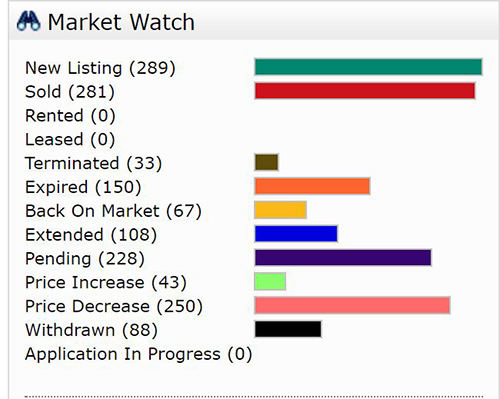 One of the things we are tracking is the moment buyers turn on and start gobbling up these properties. Each year we tell people it takes until about January 15th or so for buyers to turn on. So far, we haven’t seen it yet. We just pulled fresh numbers as of January 15th and compared them to October 2nd, another data point we have saved. We have some from earlier in year as well, and they look similar to October 2nd, so there is nothing magical about that date. In each data point, sold and new pending sales are similar to new active listings. What’s different about now is new listings have been outpacing sold properties about 3 to 1 and new pending sales 1.6 to 1. At any other time, this would be alarming to see a sudden trend like this. Because we know the New Year often starts off like this, we’re not sounding alarm bells, or false missile alerts. We have enough of those lately. We are telling sellers that have had their home on the market awhile that new listings are coming, so if their home failed to sell before the run-up in new listings, it may face difficult headwinds now. When selling a home, it’s always important to gauge the headwinds, and as we write this the buyers haven’t turned on just yet. As the season goes, so goes the rest of the year many times. 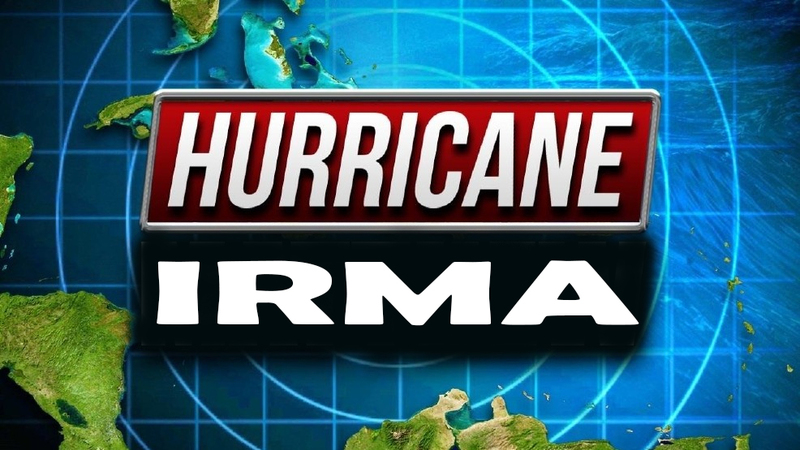 The fundamentals for Florida are strong as an improving economy, new hiring, pay raises, and lower taxes is a good recipe for the housing market. Add in the fact that Florida looks good compared to other states with the new tax code and we could see more net migration from other high tax states going forward. When there are few homes for sale, pricing it correctly and getting it out on the market can sometimes be enough. When listing inventory begins to rise, pricing becomes more crucial as does marketing. It’s not enough to just list it on MLS and hope other agents show it. You must reach the buyer. The buyer has more choices, and often the buyer tells their Realtor which homes they’d like to see. This takes increased advertising. When we target buyers, we use several media. We use traditional print like the newspaper, yellow pages and mail-outs as they still work. We also use advanced online techniques to reach buyers. Online we can identify buyers from up North that are looking to purchase down here in SW Florida. We can also identify people in Southwest Florida that are interested in purchasing, then serve up ads likely to meet their criteria. If you only market one way you’re not reaching all the buyers. Of course, you must have a hefty budget as well to reach as many as possible. We had a Realtor from Baltimore call us this past week wondering where we got our database of buyers. He thought perhaps the state of Florida had one we bought into. I told him no, it’s a large database the Ellis Team has garnered from extensive online and print advertising. They say if a politician wants to win, they must speak directly to the people. In real estate, if you really want to sell your home, you must market directly to the buyers. That’s what our marketing does. If you’re thinking of selling your home, you should call us and see for yourself. Once you see it, you realize there is no better way to reach your buyer. If you’re a buyer, you should call us too. We have access to All the listings, not just the ones you see on certain websites. 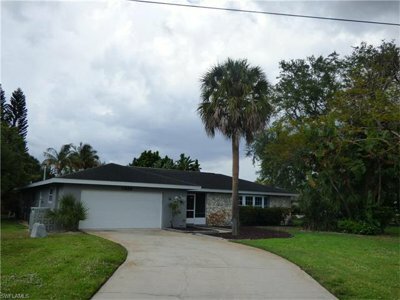 You can reach us at 239-489-4042 or visit www.LeeCountyOnline.com to see All the listings. 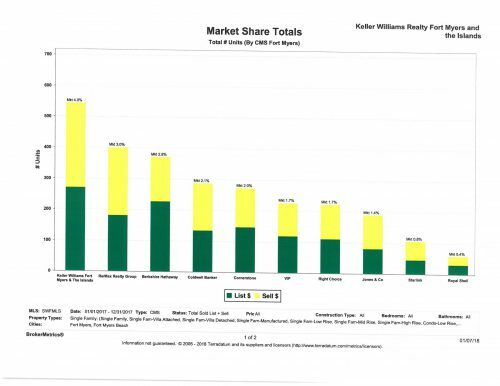 Keller Williams Realty Fort Myers & the Islands announces that Keller Williams has attained #1 market share in 2017 for Fort Myers and Fort Myers Beach. Both units and $ volume. 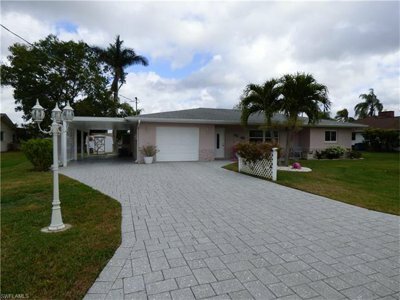 Posted in Cape Coral, Cape Coral Real Estate, Fort Myers Beach, Fort Myers Real Estate, Open House, Southwest Florida Real Estate, Waterfront Homes. You’ve probably heard the word “Season” and associated it with the traditional 4 seasons. here is only one real estate Season in Southwest Florida and we’re in it now. People down here don’t think about the changing of the seasons as our weather is nice all 12 months of the year. High season here runs January through April, depending on when Easter is. Some people go home before taxes are due the middle of April. Each year we know January will be a slower month for closings, and it builds until about June. This makes sense because many June closings happened in April. We expect showing to increase starting mid-January. I just checked showing statistics for our MLS and the average home is receiving 2.2 showings the first 8 days of January in the $200-$450k price range in Fort Myers. Other price ranges vary. Last year showing stood at 2.4 showings the first 8 days. 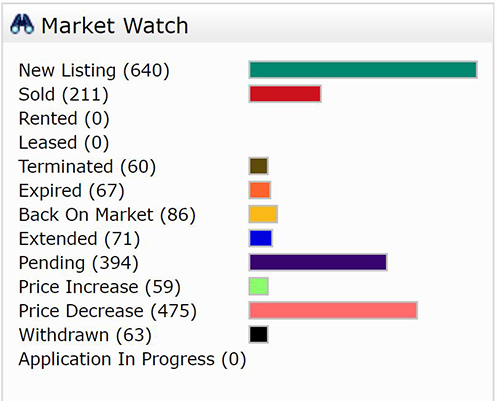 We have more showings this year because there is more inventory, but it’s down slightly per home. I wouldn’t read too much into 8 days of data. As you can see from the graph, February closings should be slightly higher than January. March is when you’ll really start to see the increase, if 2018 is anything like past years. If you’re a buyer, you probably want to get your bids in before other buyers start buying all the listings. If you’re a seller, now is the time to get your home on the market, as the rush is coming. If your home is on the market and not receiving offers, you’ll want to make sure you’re priced correctly by February. Your best chance will be February and March, so you don’t want to miss that market. Even though we have a rush of buyers here in Season, over-pricing is a sure-fire way to make it not sell. Buyers will purchase, but nobody likes to overpay. Sellers want to make sure their home is properly exposed. We have more buyers here in Season, but if they don’t see or know about your home, it won’t stand out. We take extra measures to make sure our listings stand out. For instance, a sign is not enough to expose a home. We use advanced digital marketing techniques, as well as traditional print marketing like the newspaper and yellow pages. You might laugh and say traditional doesn’t work, but we have sold some properties directly off these old and proven mediums. As for digital, this encompasses everything on the Internet to email to mobile advertising. We have an advanced way to target buyers looking for exactly what you must sell. For instance, Google, Bing, Facebook, and others know if you’re shopping for back to school clothes or for curtains for your home. They’ll serve up ads to you because they know that’s what you’re currently looking for. The same is true for housing. We know how to reach waterfront buyers, golf course buyers, condo buyers, first-time home buyers, 55+ buyers, and on and on. Whatever you’ve got to sell, we know how to reach the buyer. It is quite advanced, and it really works, as long as your home is priced correctly. We can send all the interested buyers your way, but if the home is over-priced it still won’t sell. If you’re shopping for an item online and it’s $85 on one site and the same or similar item is $65 on another, people will purchase the better value. Sellers must turn their focus off what features and upgrades cost and more on the overall value. You must think like a buyer. What would you do if you were the buyer? We can help you price your home correctly. We offer advanced marketing for your home too, so we can get your home sold for top dollar and faster than the average Realtor. All Realtors are not the same. Call Sande or Brett 239-489-4042 Ext 4 to list your home, or speak with one of our friendly and knowledgeable buyer agents to purchase your next home. Visit www.LeeCountyOnline.com to search the MLS like a pro for Free! 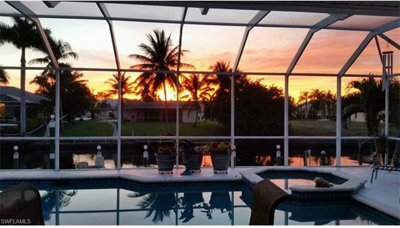 Posted in Cape Coral, Cape Coral Real Estate, Fort Myers, Fort Myers Real Estate, Gated Community, Southwest Florida Real Estate, Waterfront Homes. Have you ever had a Realtor call you and say “We have a buyer for your property?” Or perhaps you’ve interviewed agents to sell your home and you asked if they had anybody looking for a home like yours? Chances are the Realtor said yes. Chances are you weren’t sure you believed them. What if there was a way to know for sure? Would that pique your interest? I remember a seller in Moody River Estates asking me that question a few years ago. I answered as I typically did at the time “I don’t know, we very well could.” They listed with us and I took the listing back to the Ellis Team and announced that we just got a new listing. One of our buyer agents said he was writing an offer in there as he had just showed there yesterday. It was literally right around the corner from our new listing. I told him to hold up and go show ours before submitting that offer. Buyer agreed to go see our new listing, and low and behold they liked ours better. We sold our listing in 1 day simply because we did have the buyer, and yet I didn’t promise that. I didn’t want to sound like all other Realtors. As I look through our leads, I realize we do have buyers for just about anything you can imagine. This will be a great tool for our sellers. For instance, let’s say we’re listing a new home in Reflection Lakes. I can now go into our database and see how many registered buyers we have searching in Reflection Lakes. Turns out we have 251 searching in our database. That’s pretty good. When we take the listing we can begin calling those buyers. The buyers will appreciate the heads up on a new listing and so will our seller. I searched Cape Coral. We have 1,015 people actively searching in Cape Coral. That’s a nice stat to know when a Cape Coral seller is interviewing us. I pulled up Town and River for fun. We have 97 people searching for Town and River looking for homes above $400,000. If we listed a property in there for $900,000 I could change the search to Town and River buyers over $850,000. It would give me a list and we could call them. Pretty neat stuff. Perhaps we’re listing a $400,000 property. When I search our database I see that we have 390 people searching in that price range. Of course, you don’t list with us just because we have a buyer for your property. We’ll create new marketing to get more buyers for you once we have it listed. We spend more money marketing homes than other Realtors. Our present and past marketing can go to work for you on Day 1. Hopefully we can create multiple buyers for your property. When you interview agents, you want to see marketing success. 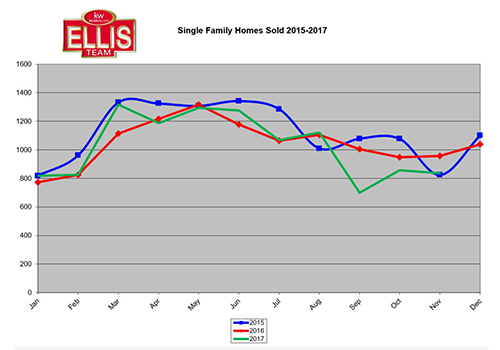 Yes, Ellis Team listings sell faster and for more money. We can show you that. Our team can also show you how our marketing generates buyers, lot’s of them. We have buyers’ name, email, and phone number. Our team know’s what buyers are searching for and when they want to buy. It’s good data. So when an agent tells you marketing doesn’t sell homes, price does, end the interview and call the Ellis Team. Marketing absolutely sells homes! Anybody can give your home away. Not everybody can sell it for what it’s worth! 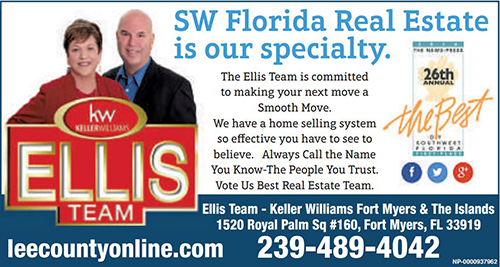 If you’re thinking of selling, you should call the Ellis Team 239-489-4042 Ask for Sande or Brett. Chances are we have your buyer for your home. We’ll still market is as if we don’t. Perhaps we can create multiple buyers, and that would be good! Put our marketing to work for you. We go for top dollar, and we get it. Visit www.LeeCountyOnline.com to see why we have so many happy buyers and sellers. Our website is updated every 5 minutes and has all the listings. It’s more fun to use than other sites too! Buyers and sellers always ask how the market is doing, and the answer depends on which agents you’re talking to. It’s easy to conflate how the market is doing with how your personal sales numbers are doing for the month. While it is human nature, it is often a mistake. Southwest Florida inventory rises in April as sales decline. When an agent’s sales numbers are up the agent feels great and wants to shout from the mountain top how great the market is doing. When an agent’s numbers are down it must be the market. Both cases reflect the attitude of the agent not the actual market statistics. Buyers and sellers don’t care about that stuff. They want to know how the market is doing. They want it local. Hearing how an agent’s numbers are up when the market is down is about like saying the national housing market is up, but our local market is in the tank. They only care about one thing, and that is the local data. 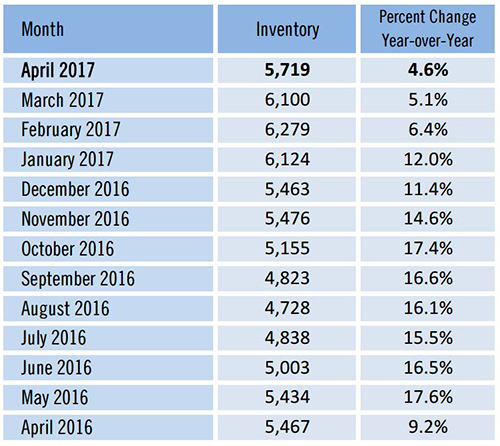 In SW Florida, single family inventory rose 4.6% in April. This isn’t because a bunch of new listings hit the market. New listings were down 10.1%, so it must be that less homes sold in April. We didn’t draw down as much inventory through sales as we’d hoped. There are two ways to draw down inventory. Sales or expired listings. If an expired listing re-lists, then even that isn’t drawing down inventory. 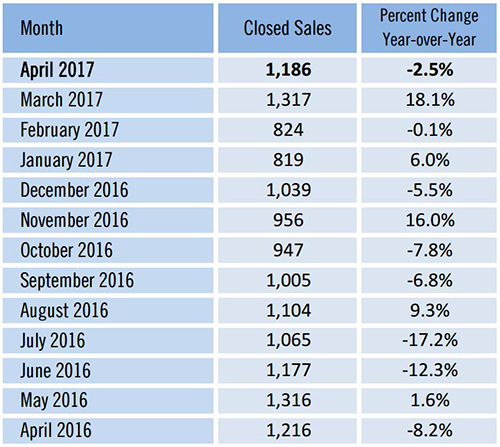 When we study closed sales in April we find that it did indeed drop. Closed sales fell 2.5%. 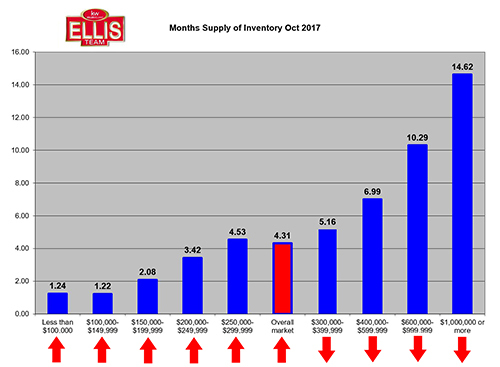 One month isn’t anything to get worked up about, so we look at new pending sales and total pending inventory to get a clue as to what future months might bring. New pending sales fell 5.1% in April which could be a warning sign for May and June. Total pending inventory fell 10.1% in April. So, what’s the takeaway from all this data? Is this bad news for the local real estate market? It simply means pricing and marketing are critical. 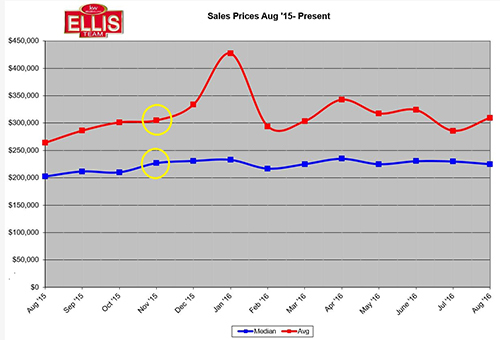 Prices have held steady but sales are declining. Total dollar volume of sales was down 1.6%. All in all this is a pretty steady market and nothing to be alarmed about. This is not the market to over-price a home. The SW Florida real estate market is steady and stable. You might call it healthy and balanced. Over-priced sellers will probably be disappointed. Sometimes even proper priced homes get lost in the shuffle as new inventory is added every day. Therefore, we say marketing is critical too. You don’t want to give your home away. Reducing your home far enough will always guarantee a sale. Once a home is at or below market value the market will scoop it up. The real estate market isn’t as efficient as the stock market. You can’t just look up on the big board and see the price, its P/E ratio, and all the other data available on the stock market. This is why some homes will sell below market value. Upfront proper pricing helps prevent this. Marketing exposes homes so they don’t have to sell below market. Advertising and marketing smooths out the inefficiencies of the real estate market. Marketing exposes your home to more buyers, thereby guaranteeing a better sales price. In the absence of a big board, marketing is key. We’ll do a future article on this topic soon. You too can search the MLS like a pro. Check out www.LeeCountyOnline.com You can search every home in MLS. you will receive the freshest data as our database is updated every 5 minutes. Find out what your home is worth online for free, and get detailed neighborhood reports. You can always call us at 239-489-4042. To list your home, ask for Sande or Brett, or let our team of talented agents help you find your dream home. We’d love to help you! 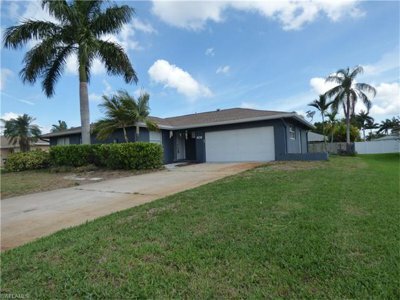 Posted in Cape Coral, Cape Coral Real Estate, Fort Myers, Fort Myers Beach, Fort Myers Real Estate, Open House, Southwest Florida Real Estate, Waterfront Homes. Posted in Cape Coral, Cape Coral Real Estate, Fort Myers, Fort Myers Beach, Fort Myers Real Estate, Southwest Florida Real Estate, Waterfront Homes. 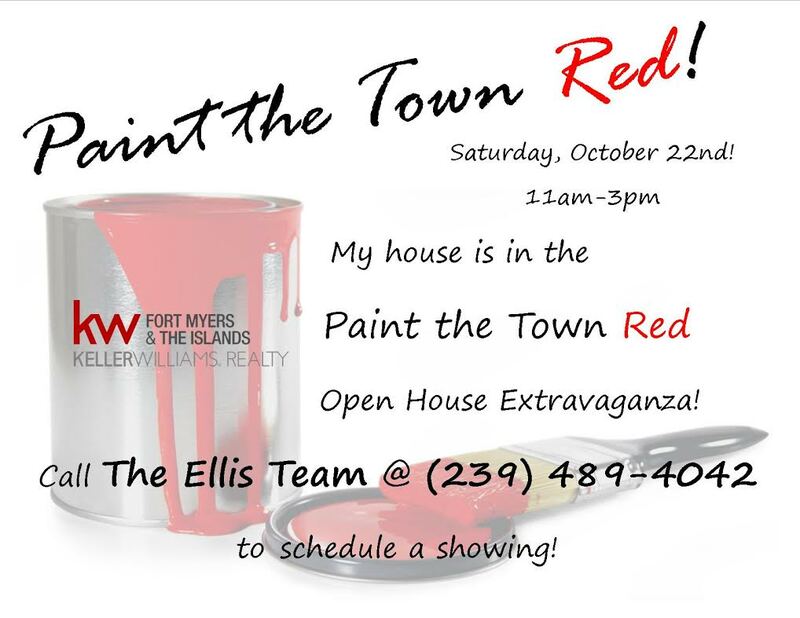 Please join us for our Keller Williams Paint the Town Red Open House Extravaganza where we’ll have 35 open houses in one day. Please join us as Keller Williams paints the town red with 35 open houses in one day. Call us at 239-489-4042 if you have any questions about any of these SW Florida properties. 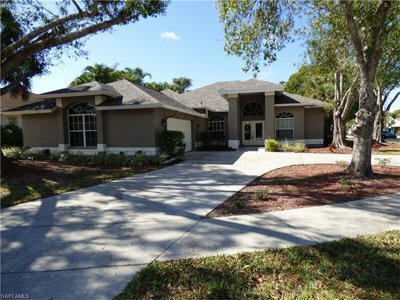 Posted in Cape Coral, Cape Coral Real Estate, Fort Myers Beach, Fort Myers Real Estate, Gated Community, Golf Course Property, Open House, Southwest Florida Real Estate, Waterfront Homes. Perhaps you’ve read about virtual reality headsets and what it can do for the gaming industry. You may not realize what 360 degree home tours mean for the real estate industry, until now. Until recently agents would provide a virtual tour in 2D, meaning the tour would consist of a series of photos, and perhaps video walking through the home. This was great but it didn’t provide perspective and the consumer was forced to look at what the photographer wanted you to see, exactly when they wanted you to see it. Now the technology has grown such that savvy agents can now provide more perspective and the consumer is in control. They get to control the scene, view each scene as long or as little as they like, and see how rooms and objects relate to each other. It’s very spatial and the best way to view a home without actually being there. We’ve had buyers buy homes sight unseen before simply from photos and videos we’ve taken from a home, and now buyers will be able to feel like they’re in the home. Showings will go way up because now people are viewing the home on their computer, or on their mobile device. Many mobile devices today are better than computers were a few years ago. They displays are crystal clear, and they have sensors like gyroscopes that allow a consumer to place it in motion view or 360 view and literally move the phone around and see the entire room. Sure, you can still move around the room by touching your screen, but now the phone or VR (Virtual Reality) headset will do it for you. All you have to do is look a certain direction and now you’re moving the scene, 360 degrees. We’re creating a new website www.SWFL360hometours.com which will showcase our listings in full 360 virtual reality. You don’t have to have a VR headset to do this. As we said, many smartphones will do this. Facebook and YouTube already allow 360 photos and videos. We’ve been adding 360 photos to our fan page www.facebook.com/Ellisteam Not only is this one of the most fun things we’ve done, it’s also one of the most useful things for consumers. We’ve been hosting live events on FB as well as utilizing 360 photos. We love 360 videos too, however when you shoot a home in 360 video consumers need to pause the scene if they want to view it for longer than what the videographer chose. That’s OK, but why make a videographer choose a length or the consumer have to take extra steps? With a 360 photo the consumer can see everything for as little or as long as they choose, then move to another scene. 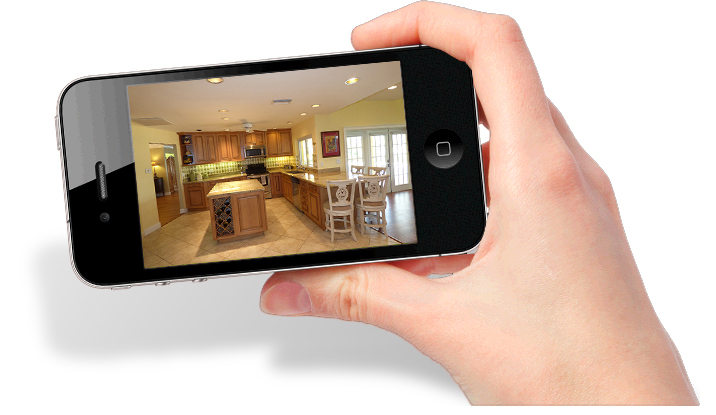 Every person we show 360 degree home tours to sees the big WOW. Sellers realize instantly what it can do for their home. Marketing matters. Pricing is important, but it’s not the only thing that sells a home. Imagine you have an item and you place it in an online auction. Do you think you’ll sell your item for more in you have 1,000 bidders or just 1 bidder? Of course, more bidders bring a higher price for anything, including real estate. This is why marketing is critical in getting Top Dollar. Adding 360 degree home tours to a home brings more online showings to your home, and there is no limit as it’s online and shareable via social media. We have the ability to target buyers by income, price range, age, geographical area, recreational interests, habits, and much more. We’re listing a home in an over 55 community. We can place ads to only people 55+ We can place ads to golfers, boaters, people likely to move, have certain incomes, etc. Marketing today isn’t what it was 10 years ago. If an agent tells you marketing doesn’t work, seek another opinion. Remember the formula. Proper Pricing x Targeted Marketing= Successful Sale. If you’re thinking of selling, Always Call the Ellis Team 239-489-4042 or visit www.LeeCountyOnline.com to search the MLS or find out what your home is worth. 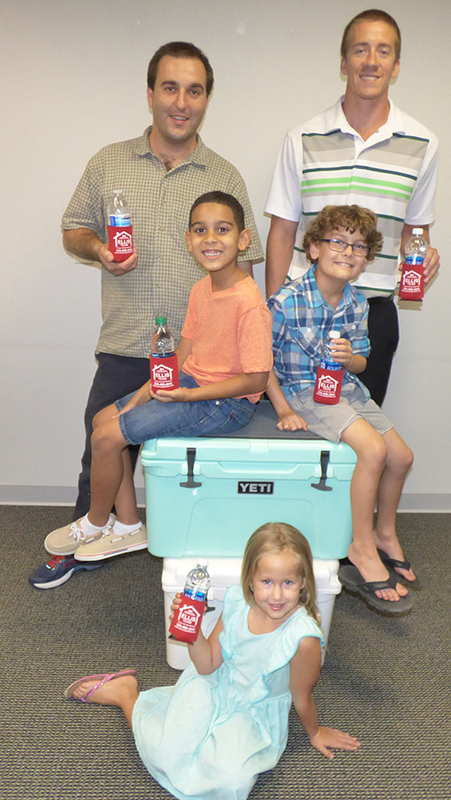 Find out how you can with a Yeti cooler. 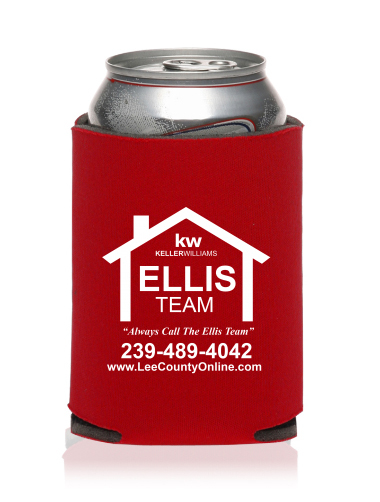 Simply pickup your Ellis Team koozie at one of our open houses or stop by our office. Simply post a picture of our koozie with your favorite beverage and use hashtags #Ellisteam and #readyforayeti and like our Facebook Page. Posted in Cape Coral, Cape Coral Real Estate, Fort Myers Beach, Fort Myers Real Estate, Southwest Florida Real Estate, Waterfront Homes.